Alienation hit the PlayStation 4 last week, and last night Jason and I took some time to check out the game's online co-op mode. 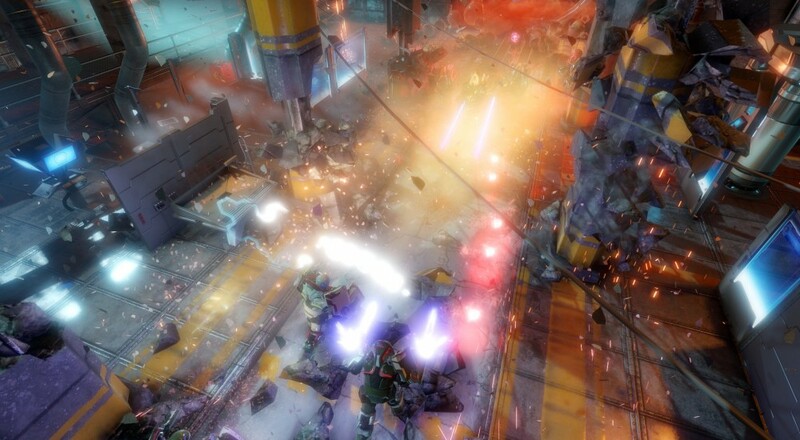 The game should feel familiar to those of you who have played Housemarque's other co-op shooter, Dead Nation. But this isn't simply a palette swap of aliens for zombies. In our stream we looked at two very early levels of the game and what makes Alienation not just a twin stick shooter - but a game that borrows elements from many of today's modern day persistent shooters like Destiny and Borderlands. We can't help but admire a really pretty game in the process. While the game is currently online co-op online, Housemarque plans to release couch co-op support in the near future.